This is the suit that Anderson purchased when he was first employed as Dominion Indian Reserve Commissioner. He dressed for the job as well as he could, in the tradition of the HBC fur trade. 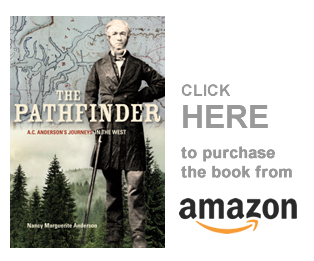 For 20 years after his disastrous dismissal from the company of men he had worked with for most of his life, Anderson led a simple life as a poverty-stricken gentleman farmer in Saanich, struggling to earn a living. While most of his English and Irish neighbours grew hops or barley for the brewery business, Anderson stuck with the traditional vegetable and grain crops he had known in the fur trade. In his private life, he worked to improve the lot of the Natives on the nearby Tseycum Reserve, encouraging them to cultivate their clayey soil. Some of the Tseycum now raised pigs and cattle or farmed small sections of richer soil, and a few had even learned the art of grafting and owned small, thriving orchards. Anderson was also their self-appointed doctor, and this led to some major changes in his life. The Natives were now under the care of the Dominion government, and when Anderson submitted to the new Dominion Indian agent a list of medicines he needed to doctor the Tseycum, as he had always done with the colonial government before confederation, he came to the attention of Dr. Israel Wood Powell, British Columbia superintendent of Indian Affairs. The fledgling Dominion government was looking for representatives to take on various official duties in the province it was now responsible for, and Powell offered Anderson the position of Dominion Indian Reserve Commissioner. He accepted. 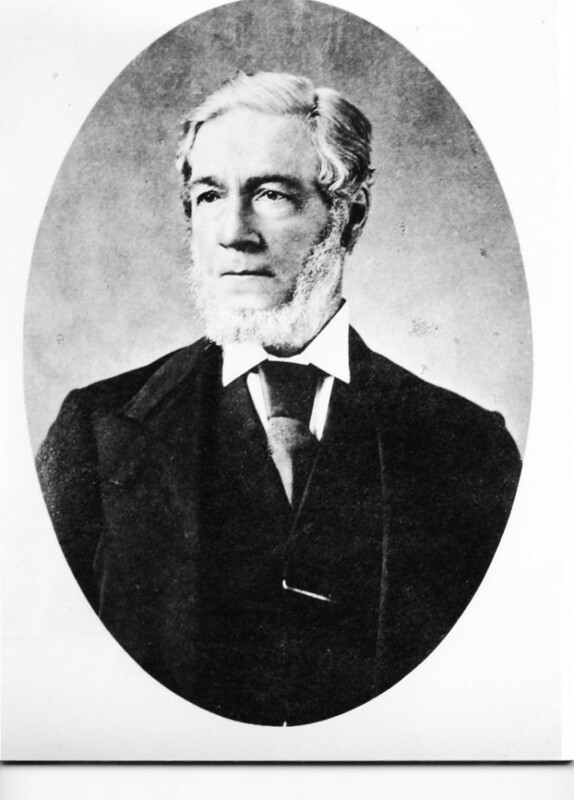 At last Archibald McKinlay, Anderson’s old friend from his fur trade days, took the position of provincial commissioner, but summer was almost over before the province finally approved the appointment of the third commissioner. An Englishman, Gilbert Malcolm Sproat, represented both the provincial and Dominion governments. And so we begin. In this series we will speak of many things and share many conversations, I hope. We will talk about HBC traditions, bullying and “gunboat diplomacy,” Native cemeteries, the long tradition of slavery among the Natives of the coast, prostitution and abuse, and hegemony — and many other subjects. We will go up the Sunshine Coast, then down the east side of Vancouver Island south of Comox. A later journal begins at Kamloops in 1877, and covers that district including up and down the Okanagan Valley (touching on the Indian Wars that were occurring at that time in the United States). In the latter journal we see how Anderson is meeting the Natives he knew when he worked for the HBC — but in the earlier journals on the coast, he had never worked here and knew none. I find it interesting, though, how all the traditions and expectations that the coastal Natives had of the gentlemen who worked on the Commission were similar to those traditions and expectations that the interior Natives, that Anderson knew, also expressed. All through this work, in 1876 and 1877, Anderson kept his own journal. The first part is in the British Columbia Archives, in Mss 559, “Alexander Caulfield Anderson” fonds. I am telling the stories of the commission, partly because I learned, by accident, that the Vancouver Island Natives buried their dead on lands that they hoped to claim in the future. I found that fascinating, and I wonder what other stories might emerge! “November 1876. 3rd, Friday. Fine weather. Leave Victoria on board Steamer “Enterprise” at 7.30 am. Reach New Westminster about 4pm. Take quarters at the Colonial Hotel, and in the evening call on Mr. Commissioner [James] Lenihan with whom we advise cursorily as to our later proceedings. Receive a telegram from Burrard Inlet notifying us that the “Leonora” will be round to receive us early tomorrow. “4th, Saturday. Fine. Conversed again with Mr. Lenihan on business. Leonora reached New Westminster about 12 noon. We find, however, that having to take in wood, water, etc., she cannot be ready to leave this afternoon in sufficient time to enable us to reach an encampment. Decide on an early start on Tuesday. Hire George and Augustin, Indians from near Yale, as Camp aides, and Michel, recommended by Mr. Lenihan, as Interpreter. The Last is an intelligent Indian who has attended on Mr. [Peter] O’Reilly, T.M., and other officials at various times. He talks very good English, and comprehends well what may be said to him in that tongue. On the other hand he can render well into the native tongue our words. Michel, though he may possibly have been a little spoilt under a succession of over-indulgent masters, has been notified previously of his position: and, duly restrained, will doubtless prove a useful servant. “6th, Monday. Weather cloudy, but fine. Leave New Westminster at 8am. Run down the North Arm of Fraser River and reach the Musqueam Village at its outlet into the Gulf of Georgia, about noon. Received by the inhabitants with flags flying. Encamp near the house of the Chief, the Indians assisting cheerfully in transporting our baggage to the shore, and otherwise in preparing our encampment. Remainder of the day occupied in pitching camp, and assorting our stores to facilitate more speedy action in future. “It is at this point, where a Reserve has already been laid out, that we propose commencing the positive work assigned to the Commission. The Chief, Similanook, has the reputation, whether deservedly or not, of being captious and troublesome; but certainly so far his conduct has not justified the evil report. Mr. Commissioner Lenihan was invited by me to accompany us to this point, or farther, as he might judge advisable. This morning, however, I received a note from him, to the effect that, owing to the pressure of other business, he could not do so, but proposes to meet us at Burrard Inlet. “Mr. Commissioner Sproat, I may mention, with our consent and approval remains at Victoria, having urgent and important private business to settle, and also to conclude certain matters connected with the Commission necessarily unsettled owing to our hurried departure. He is to join us tomorrow — “Leonora” dispatched to await his arrival at New Westminster and bring him down. “Tuesday, 7th. A beautiful day… Held an interview with a number of the Indians, headed by their Chief Simi-la-leech (or Similano). These Indians cultivate on a small scale and are apparently well off. They complain that a portion of their tribal land, formerly occupied, has been taken possession of by a man named Boyd. Write a letter in the name of the Commissioners to Mr. Boyd, and dispatched later by an Indian messenger, requesting him to meet them at 9 am tomorrow to explain. “In the afternoon the two Commissioners, attended by Mr. [Edward] Mohun, the Surveyor — went to inspect the spot in question, about 5 miles away. Made the necessary observations and returned in the evening. “Wednesday 8th. A dense fog all day. Mr. Boyd, the person to whom we wrote yesterday was absent from home when our messenger reached, and it seems uncertain when he will return. The “Leonora” arrived from New Westminster at 10 am, bringing our mail bag. Mr. Sproat had not reached New Westminster as was expected. At 1 pm we decided on sending Mr. Mohun to New Westminster to make enquiry at the record office as to what land may be disposable in this quarter since we desire, learning nothing of Boyd’s land, to have it in our power to give at least some other section in compensation. All that the Indians desire, in addition to their present Reserve of some 342 acres, is a portion of meadowland for the purpose of haymaking, etc. The Musqueam Reserve had first been laid out in 1864, and then cut back in 1870, according to Cole Harris, in Making Native Space: Colonialism, Resistance, and reserves in British Columbia. “The Musqueam wanted their old reserve back: they had not enough grass for their cattle and had lost fifteen head the previous winter. But in 1874 much of the land they wanted was “under fence, crop, and dyked and in possession of Mr. Bates.”” Perhaps Mr. Bates and Mr. Boyd were the same man: I also wonder if Boyd was absent on purpose to avoid meeting with the Commissioners and giving up some of his land. This opening of negotiations with speeches by both sides is a tradition of the HBC fur trade, and it is a tradition that they adopted from the Natives themselves. Anderson and McKinlay understood this, and so did the Natives — even those on the coast who were distant from the HBC fur trade. At the end of negotiations there would be another set of speeches, while everyone explained their position and the Natives listened and responded with their own speech. Then came the Harangue. All these speeches were normal and both HBC men and Natives understood the process: Sproat might not at first, but he would eventually. Thanks, Evelyn. Very useful, appreciate your information. I didn’t have this article.